NU0702 : " Douglas " Carved from a fallen tree. possibly a Douglas Fir ?
" Douglas " Carved from a fallen tree. possibly a Douglas Fir ? 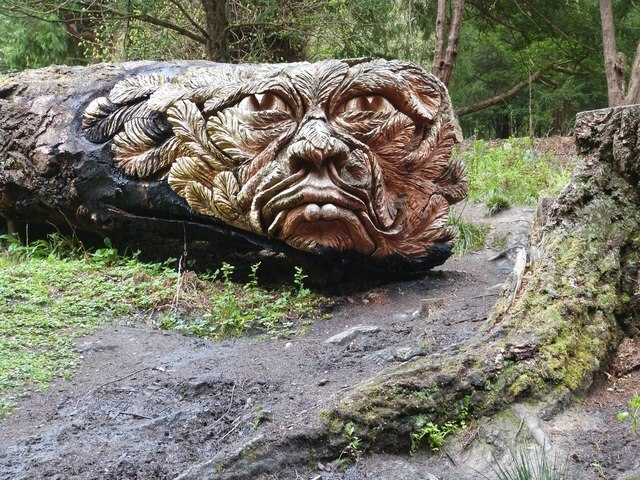 Douglas is carved from a 140-year-old fallen pine within in the grounds of the Cragside Estate. The artwork was created by Tommy Craggs from Durham.